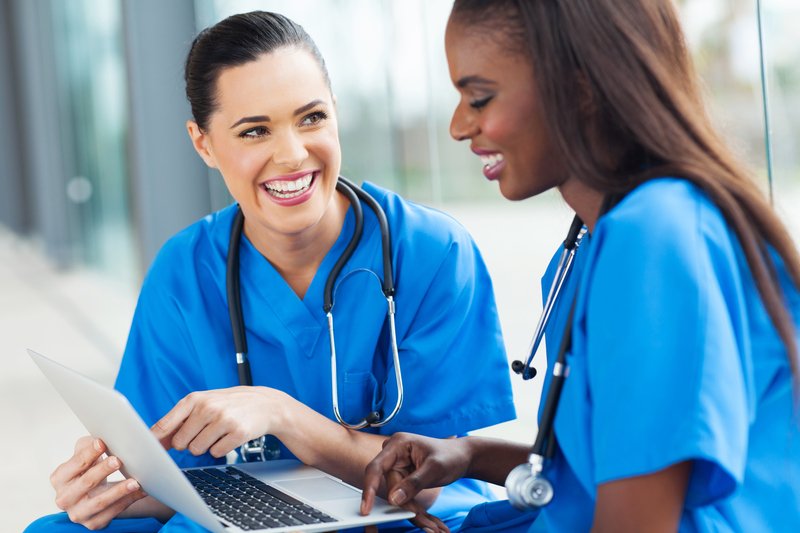 New technology is improving the work environment for the nursing profession. Innovations in scrubs that prevent bacterial infection and patient flow technologies that decrease the length of stay for patients are working to make the lives of nurses better and thus help them to provide better service to patients. This article will look at these two technologies. Healthcare associated infections are increasing every year. Almost 100,000 people died from nosocomial infections in the U.S., which cost the healthcare system about $35 billion per year. Scrubs for nurses are meant to provide protection from bodily fluids and various different bacterium in hospitals and other high-risk environments. Unfortunately, until now the current scrub design has been unable to properly prevent infections to both healthcare workers and their patients. This is due to the rise of gram negative, highly contagious, and antibiotic resistant bacterial infections. The manufacture of bacteria resistant scrubs is vital to lower healthcare costs and reduce the spread of bacteria related infections within hospitals. Bacteria resistant scrubs contain a number of unique qualities. Modern scrubs are made out of specialized material that is meant to be both comfortable and to resist bacteria. Bamboo rayon is used for maximum comfort and sustainability. Silver nano particle fabric is used for its intrinsically antibacterial properties and strong hydrophobic properties, which protect nurses from bacteria growth on their equipment. Alginate coating is used because it is non-toxic, sustainably sourced, and also has antibacterial properties. If these bacteria resistant scrubs are able to prevent infections, this will be a huge improvement for nurse safety and for patient health because it can reduce the chances of nosocomial infections. Patient flow technologies such as real-time location systems (RTLS) are beneficial because they decrease the length of stay for patients. By more efficiently moving patients through the facility, hospitals are eliminating delays and waste that happen at admission, as well as during hand-offs, transports, and discharges. Shorter lengths of stay mean lower costs for hospitals. For nurses, patient flow technologies have the potential to save the time it takes looking up information and looking for equipment. This improves staff morale and lowers employee turnover. It also enables nurses to automatically generate reports, improving record keeping systems. Bacteria resistant scrubs and patient flow technologies, are important innovations with the potential to create safety and efficiency. Nurses can now perform their responsibilities better and this will improve the services provided to healthcare consumers.